A court in Colombia authorized the arrest of two peace negotiators of the ELN guerrilla group on charges they took part in a terrorist attack that killed 22 in Bogota in January while in Cuba. The prosecution convinced a Bogota judge that ELN commanders “Silvana Guerrero” and “Alirio Sepulveda” were involved in the terrorist attack, Prosecutor General Nestor Humberto Martinez said Monday. The ELN dismissed Martinez’ claims as “fake news” and said that the accused commanders have been in Cuba for the past two years as they are members of the rebel group’s peace negotiations team. Prosecutor Nestor H. Martinez produced fake news in which he accuses Silvana and Alirio of being linked to attacks in Colombia, when both have been out of the country for talks for the last two years. Martinez and Defense Minister Guillermo Botero on multiple occasions have been called out by journalists for lying and twisting the truth about the terrorist attack. In its latest legal offensive, the prosecution charged the peace negotiators with homicide, terrorism and the destruction of an educational institution, but provided no evidence indicating their implication in the car bomb attack. 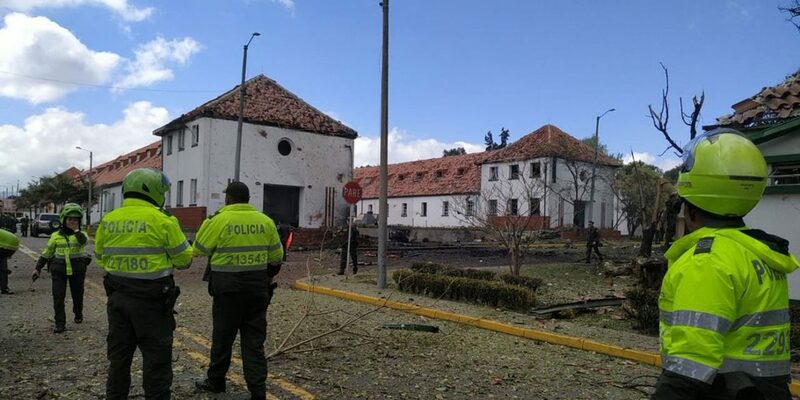 The January 17 terrorist attack on the General Santander Police Academy was allegedly carried out by the ELN’s Eastern War Front that is led by “Pablito.” A car bomb that entered the school campus killed 22 people, including the bomber, and injured more than 65 others. In the wake of the attack, Colombian President Ivan Duque discarded further peace talks he suspended when taking office in August last year. The government has also refused to honor international obligations made ahead of the talks that would allow ELN negotiators reunite with their troops in Colombia in the events negotiations fail. Guerrero and Sepulveda, along with the other negotiators, have since remained to remain in Havana and have reiterated calls to resume talks and agree to a bilateral ceasefire. Colombia’s Foreign Minister Carlos Holmes Trujillo has asked Cuba to extradite the negotiations, but Cuba and other countries that have acted as guarantors for the talks have dismissed this request. They have urged Colombia to honor its international obligations. Following the attack, Duque stripped the ELN of its political status and classified the group as an organized crime organization, effectively making peace talks illegal. Inspired by the Cuban revolution, the ELN formed in 1964 and have violently tried to overthrow the Colombian government since then.